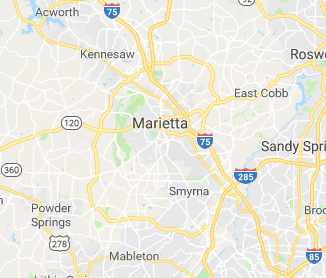 If you have windshield or auto glass damage and you’re in the Metro Atlanta area, then you are within our service reach! Give us a call and we’ll either go to where your car is located, repair it on site, or have us tow it back to our repair shop to service it in-house. With Marietta Autoglass, your vehicle will be resurrected back to its prime condition with the equipment, materials, and expertise we have at our disposal. We repair front/rear windshields, side window glass, as well as sunroof repair. We also fix auto glass for large vehicles like RVs, mid size trucks, buses, and trailer trucks. Your vehicle’s broken windshield will certainly prevent you from driving your car, but don’t worry - we’ll bring our repair and replacement services to your home and will still provide the same level of quality finish. Speed and reliability is very important to us, and it’s not just because we want to gain your trust, but we also aim to serve other customers waiting in line who have trusted us as well. Whether we repair your car at your own property or in our service shop, we do not settle for mediocre work. We aim to set a standard that will meet or exceed the expectations of our customers. Marietta Autoglass is all about keeping a good reputation so that our clients can depend on us each time. Most people assume that our mobile repair service is watered down to a level inconsistent with what we provide in our service shop. That would be a misconception because we maintain every aspect of our business to international standards that all developed countries adhere to. This includes our mobile service. You can be assured that whatever we bring in, our service repair van comes with a fully stocked mobile service that has the means to deliver quality results. There are actually no distinctions between work done outside the shop and within the shop; everything is 100% quality. Perhaps the most important benefit that you will get from our mobile service is having more time to tend to other important matters. While letting us do the worrying and repairs, we aim to make things easier for you. If you’re a business-minded individual who makes hundreds or thousands of dollars an hour, then your damaged vehicle will not steal away your time. After requesting our services, we’ll take care of the heavy lifting for you. Time saved is time not wasted on trivial things, and your business transactions will not be interrupted. This means that your profits can continue to soar. Call Marietta Autoglass today and experience the results first hand!